4S Talking Torque specialises in the calibration, repair, hire and sales of all types of torque wrenches. Our business has been founded on four key principles: Source, Service, Solutions and Satisfaction. 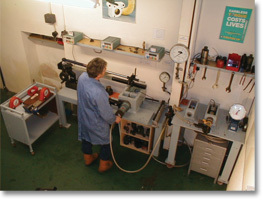 For over 30 years we have provided our customers with first class service and expertise on the specification and maintenance of torque equipment as well as practical solutions to bolting problems. If you are talking torque talk to us first!